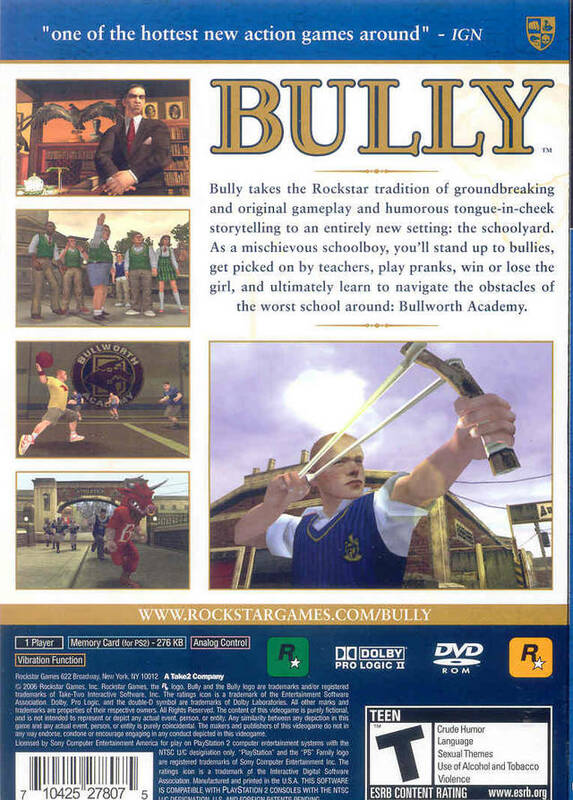 For far too long, the bullies of Bullworth Academy have been stealing lunch money and making life miserable for students. For far too long, you've taken a back seat as nerds were taunted and put on display. 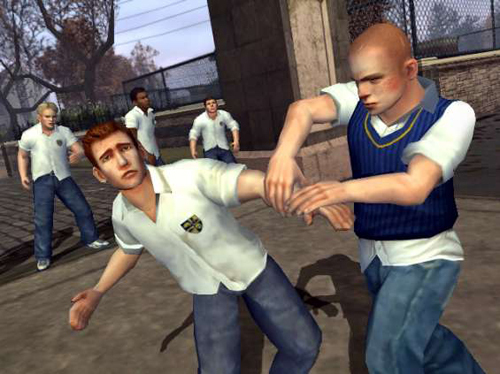 And for far too long nobody has put the bullies in their place. Finally, the time for sweet revenge is here! 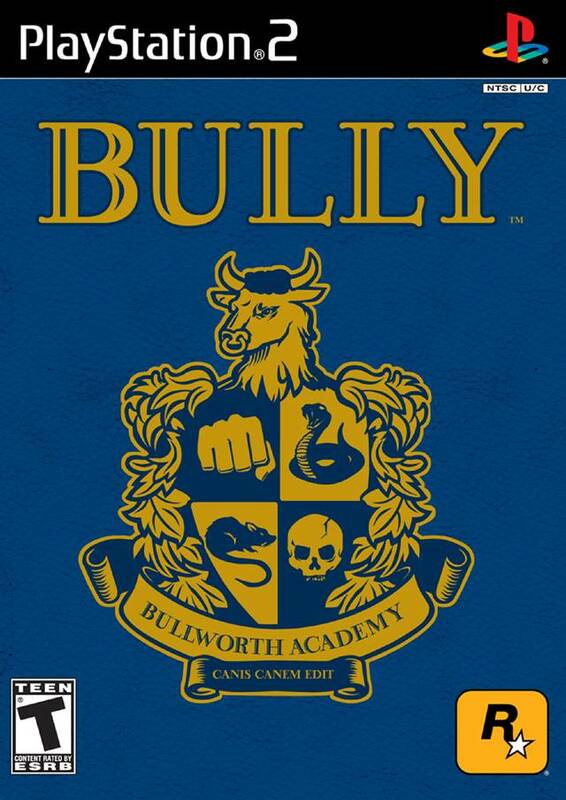 As a mischievous schoolboy, you'll stand up to bullies, get picked on by teachers, play pranks, win or lose the girl, and ultimately learn to navigate the obstacles of the worst school around, Bullworth Academy - a corrupt and crumbling prep school with an uptight facade. 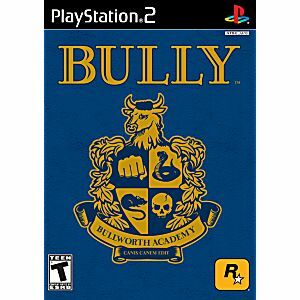 This is by far one of the best games ever it is so fun to play and it has some of the best missions on it thanks again for another great game and it came in excellent condition. Good condition, complete, fun game for the PS2. I recommend this site. This game was in perfect condition when I received it! I love this game it plays well with no problems and I recommend others to play it as well you will have a lot fun. I love this game! 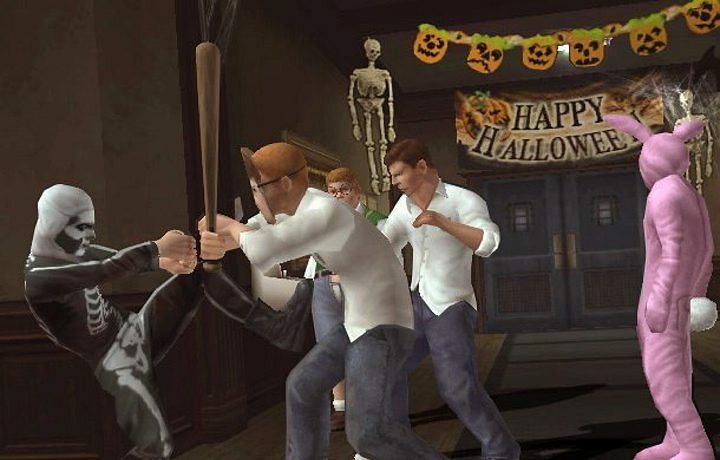 very fun and well done one of Rockstar's best. This game was delivered in great condition, with no scratches and have been working great. Excellent deal for one of the best games for PS2. I am very pleased with my purchase and plan on doing more business with Lukiegames in the future. Thank You!!! !